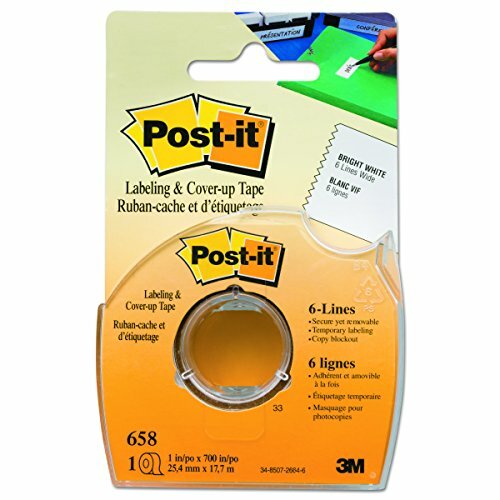 Post-it Cover-Up and Label Tape is perfect for covering text and temporary labeling. 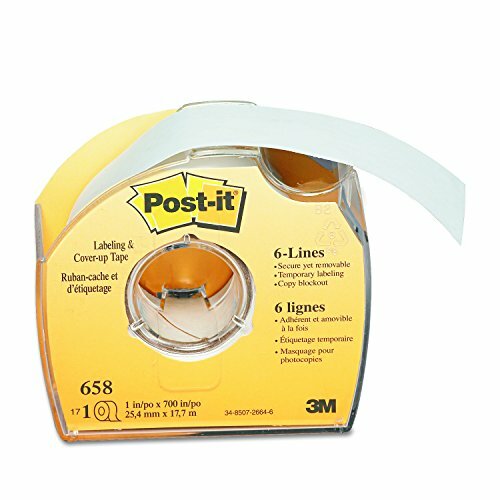 Repositionable white tape can be written on. 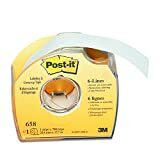 Ideal for making changes on printed documents. Removes easily without damage; so the original document can be reused. Virtually invisible on copies. 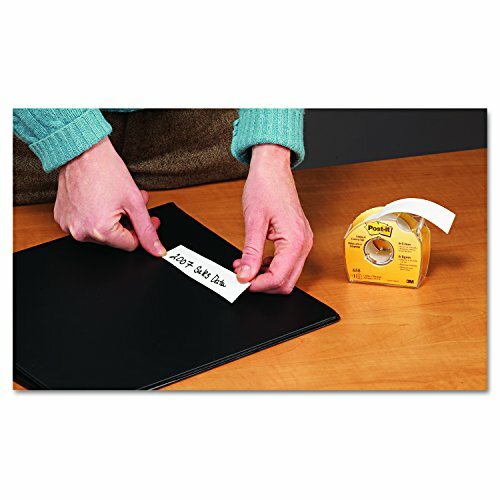 Perfect for covering text and temporary labeling!